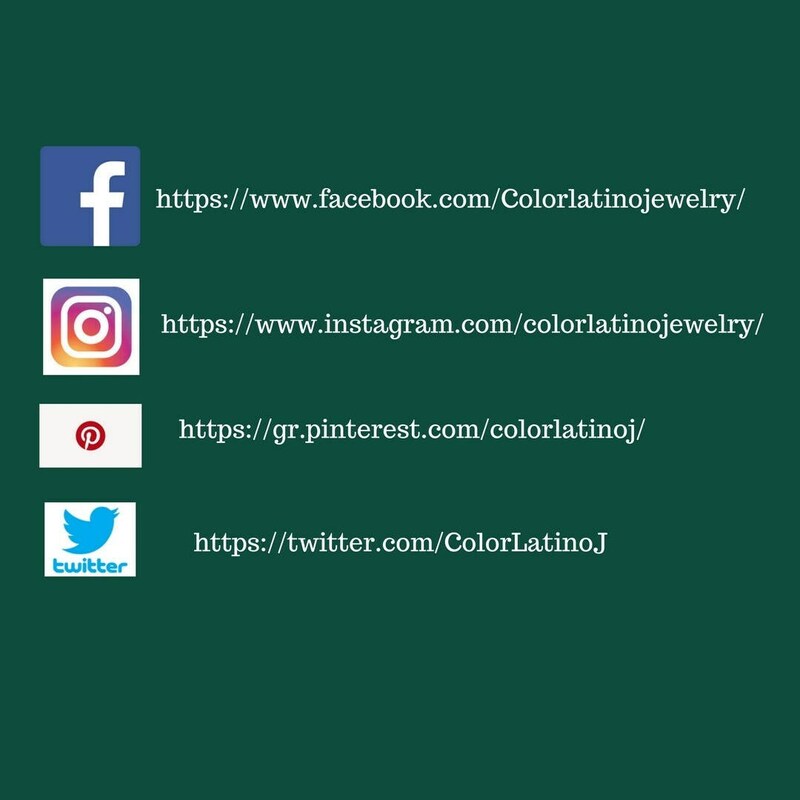 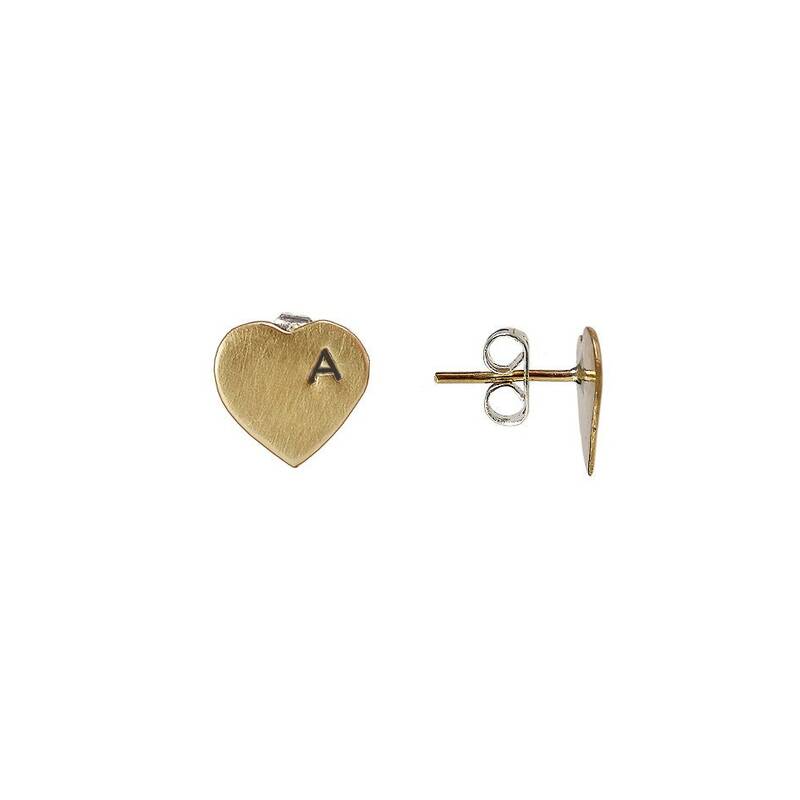 Small gold personalized heart stud earrings made of tumbaga with tumbaga or sterling silver posts and clasps. 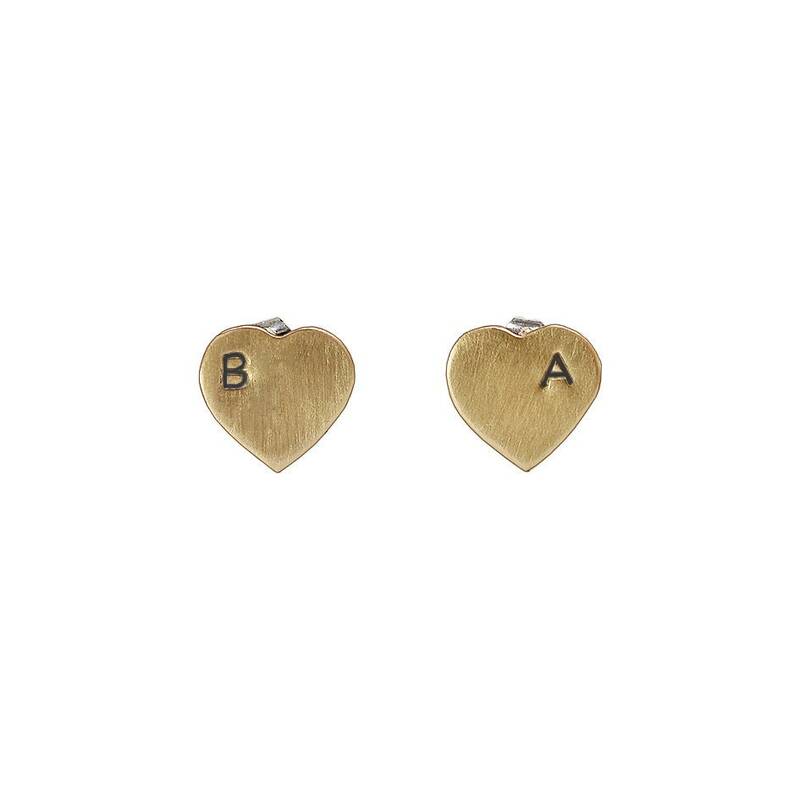 If you are looking for hand stamped heart valentines jewelry, these custom initial letter stud earrings are a great choice. 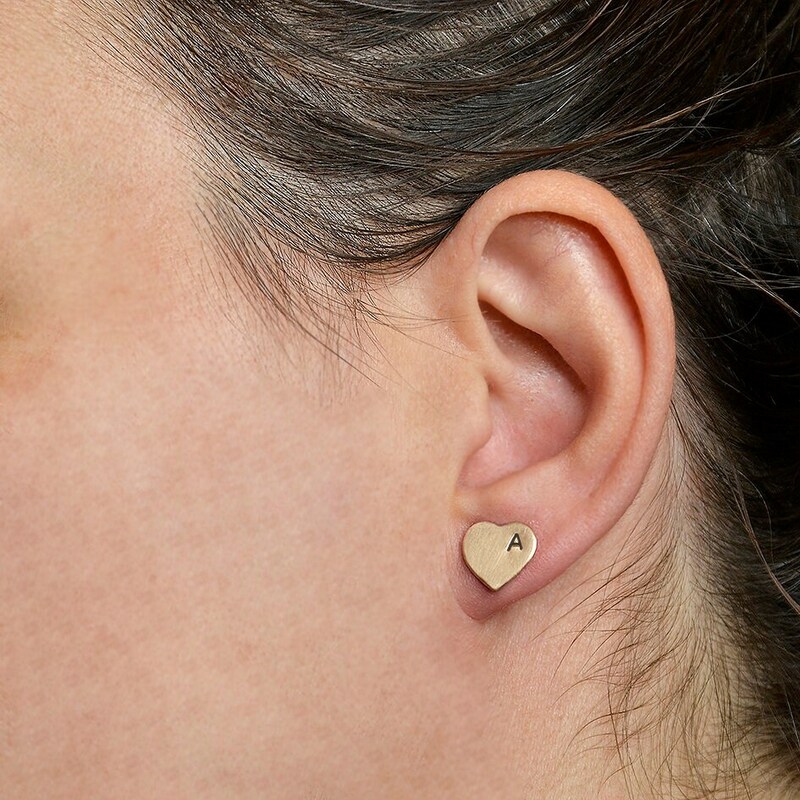 Designed , cut and polished by hand. 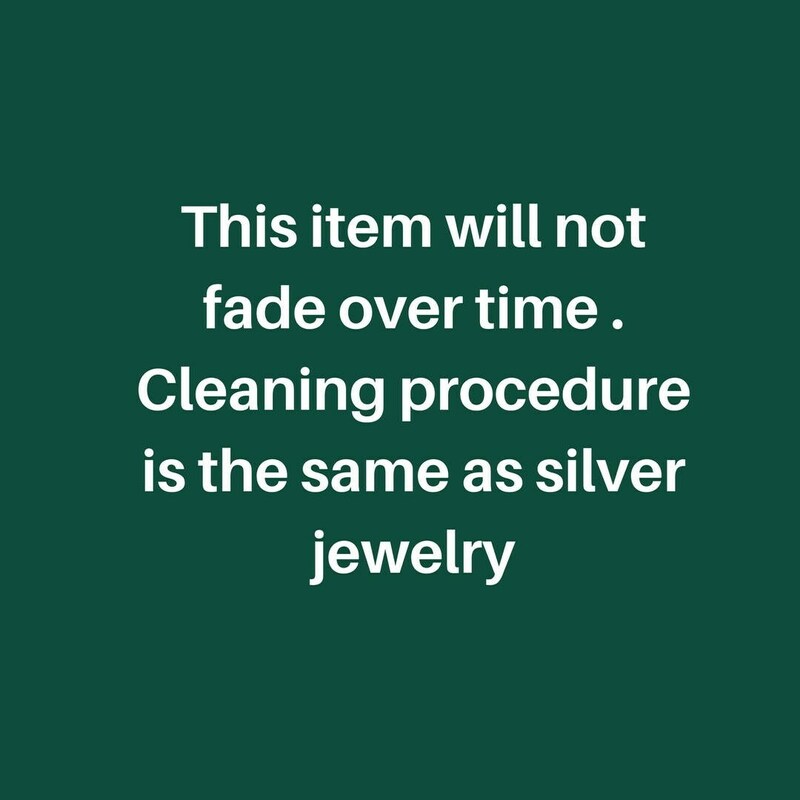 Cleaning procedure: Place some metal cream polisher on the earrings and polish them with a cloth.